Come on a memorable trip up the length of Scotland and across the turbulent waters of the Pentland Firth to the mysterious world of the Orkney Isles. 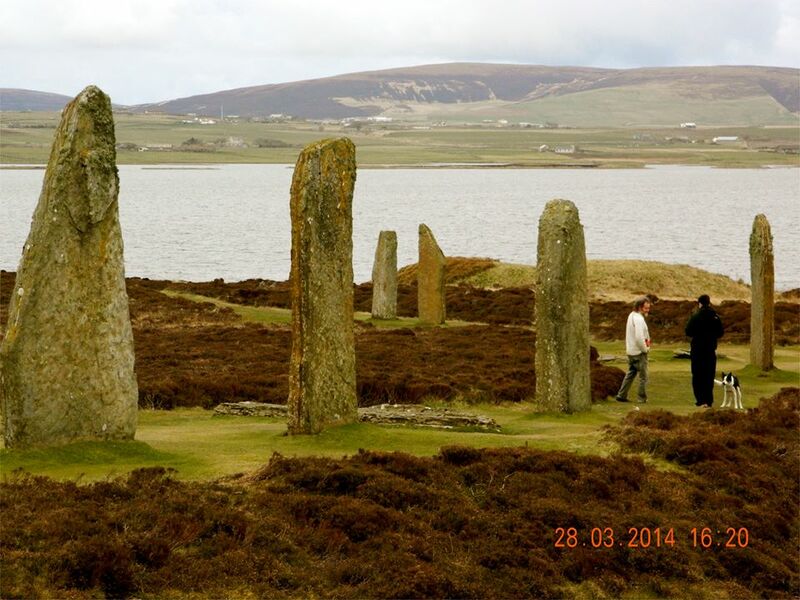 The place is teeming with pre-historic sites and we’ll take you to the most noteable of these and help make some sense of the neolithic world of stone circles, burial cairns and brochs. we’ll also enjoy short hikes to see impressive sea cliffs, giant stacks and marvel at the rich bird life where the meeting of seas forms an inspirational backdrop. This tour includes travel by road from Edinburgh to Orkney (& return), ferries, B&B accommodation, with guided hikes and admission to all the major places of interest. The cost per person is based on two sharing a room. With single supplement, the total cost is £730. Prices exclude food & drinks other than breakfast. The journey itself kicks off our adventure, travelling up into the Highlands via Dunkeld, former ecclesiastical capital of Scotland, then over the wild Drumochter Pass, along the fringe of the Cairngorms Mountains before reaching Inverness. Due to the distance travelled, we will be leaving Edinburgh at 8am. A visit to the Pictish stones en route on the Fearn Peninsula will provide an appreciation of the art of this mystical culture. 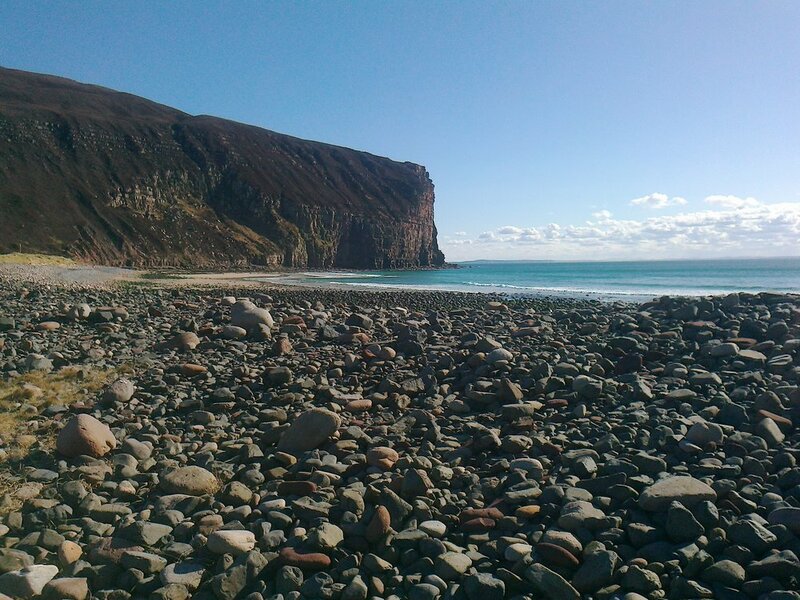 Before boarding the Orkney ferry, an easy hike to view the Duncansby sea stacks will help to refresh us after a long journey, (although breaks will be made along the way). The impressive Ring of Brodgar in its inspirational setting on a narrow land isthmus with lochs on either side under a big sky. Maeshowe burial chamber with monumental interior formed of colossal stone slabs, inscribed with the grafitti of Vikings runes. the Pictish village of Gurness with its broch (a high status prehistoric tower residence) is in a coastal location by the straits over to the Isle of Rousay. St Magnus Cathedral (named after a local saint martyred by a rival Viking lord). Tomb of the Eagles, accessed by foot along the cliff tops and then by lying down flat on a trolley to enter under the very low threshold into an impressive interior! St Margaret’s Hope - attractive, historic port. the Italian Chapel, showcasing how elaborate a group of prisoners of war could decorate a military nissan hut. If you feel there’s too much to see in the two days on Orkney, we can extend to a third day, making a total of 5 days in all, amounting to £825 when sharing a room; £885 for single room supplements. Each evening you will be taken to a local inn or restaurant to sample the local food and possible music evenings. On our return road trip back to Edinburgh, we’ll stop at the baronial style castle of Dunrobin with a museum of Pictish stones. Later in the day, an hour’s hike to a low level hill will help to break up a long journey. The summit offers a wonderful panorama of the Cairngorms Mountains with its ancient Caledonian forest - a dramatic contrast to the virtually treeless and largely low-lying Orkney countryside. Arrival mid evening in Edinburgh at the end of day 4.